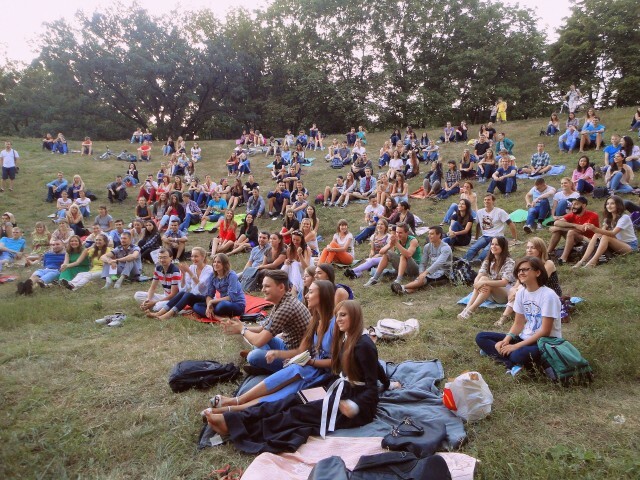 Yesterday, on the hills behind the HNATOB, a lecture of the project “University under the open sky” was held. In a lecture entitled “11 ways to find your life’s work”, a local young entrepreneur Ivan Bud’ko spoke about self-realization and gave some tips on how to find your main occupation and mission. “This is a great idea and opportunity for development. The audience is good and friendly, but for some of them this is a brand new format they are not used to. Anyway, it will change, if we continue the lectures on an ongoing basis,” said lecturer Ivan Bud’ko. 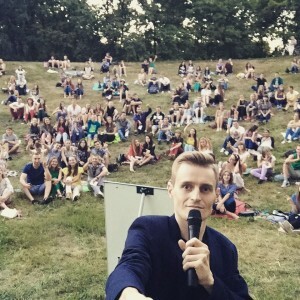 According to the organizers, the word “university” is used to make it clear that with the help of these lectures, the youth, and everybody else, will get specific knowledge. Many guys came prepared and noted everything during the lecture: “I came here to pick up the urge to self-development. The local atmosphere is energizing and encouraging self-confidence. I hope that such training will help me to overcome inner fear and apprehension. I think that my goals are becoming more and more clear,” said Peter, one of the participants, shared with us. There were also those who did not know about the lectures and came there accidentally: “I did not know about this event, my friend and I were walking past and we got interested in the event. In fact, all the things that the lecturer said were familiar to me, but his way of presentation was very interesting, sometimes very funny and I like it,” said Lyudmila. During the lecture, Bud’ko also invited everyone to a free 10-day training, where you can register and find a perfect vocation for you, turning it in your source of income. Organizers plan and hope that this kind of event will be organized on regular basis, so that people have an opportunity to not just have a good time, gain new friends, but also get favors and knowledge.